It’s our job to anticipate your curbing and pavement equipment parts needs and provide timely, effective service when you need it. We’ve been doing it for over 65 years, and we continue to offer an elite level of customer service to our clients today. We carry a full stock of parts for your machine, and boast a 98% same-day shipping efficiency for the 5700-B and newer machine parts. 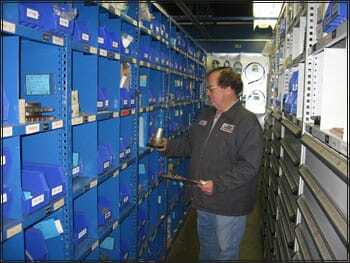 Furthermore, our experts are always here to help troubleshoot any machine parts issues you may have. At the end of the day, we take pride in helping our clients complete a flawless curb or paving project. Our staff is prepared to do whatever it takes to make that happen. So if you’re in need of parts support from Power Curbers & Power Pavers, please contact us via one of the methods below! We are eager to assist you!